In my last blog post, I mentioned using social media to network and promote your dance classes and events… and I gotta say that one of my very favorite tools for doing just that is the hashtag. But even though most of us are familiar with hashtags, many of us don’t know how to use them at all, let alone use them to their fullest advantage! I worship at the altar of hashtags- and after you find out how to use them, you probably will, too! Last year at the annual Raven’s Night belly dance event in Washington, DC as many of us were sitting around talking shop into the wee hours, I was asked to give an explanation on hashtag use. Though it was extremely informal (and just a little tinged with the wine we were drinking!) Illuminated the idea of how hashtags, function. After that, many of us jokingly started saying the word “hashtag” in our speech, in front of the words that would be hashtagged if they were being typed on a social media site! It turned into such an in-joke that weekend that a group of us who were already actually got small sized hashtag symbols tattooed on our bodies! So, this is the way hashtags work: if you type the hashtag symbol (#) in front of a word on social media sites, the hashtag and the word will turn blue, indicating that whatever word you type (such as #dancer) will turn into a searchable term. That means anyone who is hunting for the word “dancer” will be directed to your post! 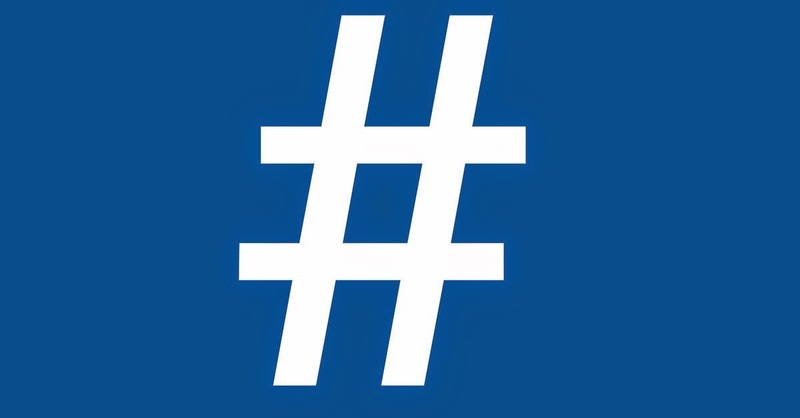 Now, let’s look at hashtag use in terms of promotion. When posting an event flyer or photo on a social media site, many people just leave it at that, using the image only. Their online “friends” will see the image, and can “like” it. That right there is good…but it could be better. If you use hashtags correctly, everyone who is interested in whatever you #hashtag will see it! I’m gonna use one of my own online flyers here as an example. Promotion-wise, adding all the info clearly typed is a good idea anyway. But I’ve also hashtagged pretty much anything that could pertain to my event as well, including really obvious things like cities, neighborhoods, the names of the special guests ( so anyone who is a student or fan can see them) as well as specific types of dance or things that people might be looking for if they want a night out in #losangeles! There is so much information on this specific “post” that it would only fly on Facebook. It would be way too long for Twitter, which only allows 140 characters per post, so in that case, I would just use #bellydance, not the whole shebang! “ Come to my #bellydance show 8/26 in #LA ". #Hashtags are a #huge part of #socialmedia , and also a really #important #promotionaltool too!